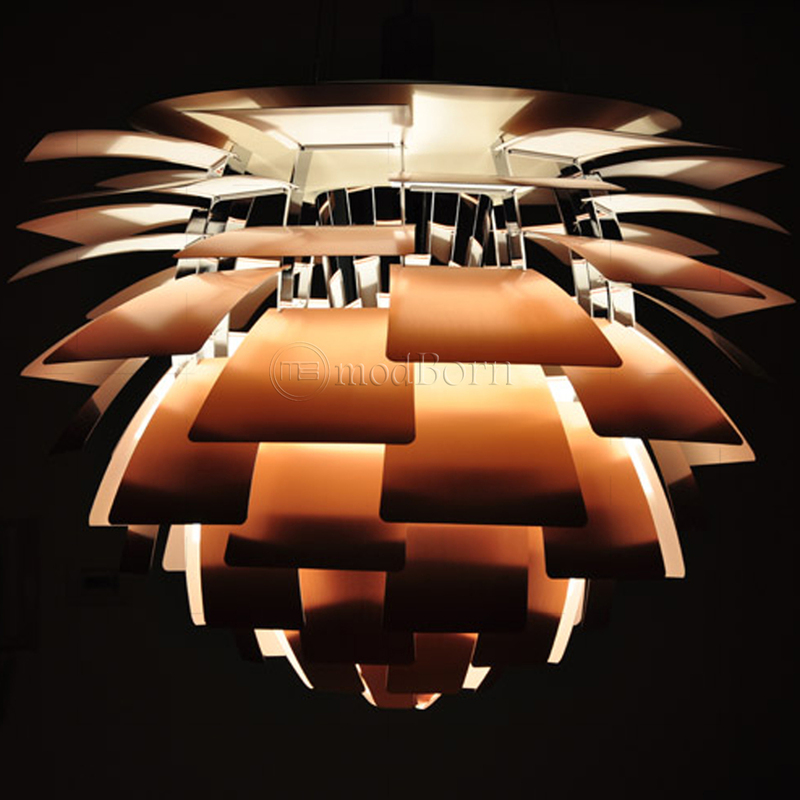 The artichoke lamp is one of the most well known ceiling light designs in the world. 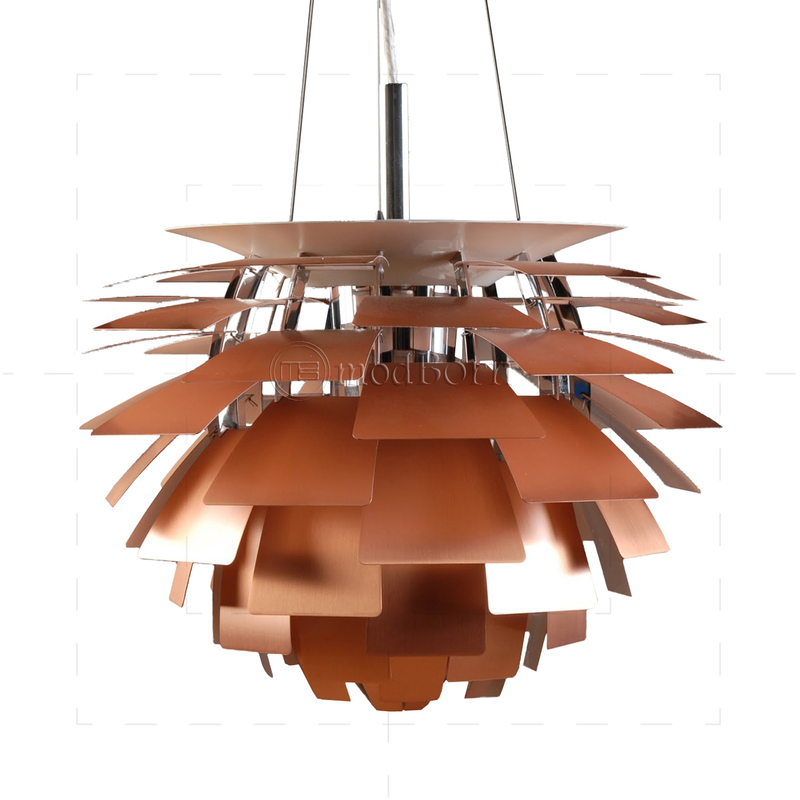 It was originally created by famous Danish author, architect, designer and all round intellectual Poul Henningsen. 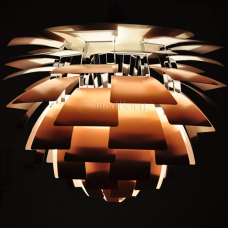 The artichoke light reproduction is based on the same theme and paul lamp replica uses a complex system of leaves to reflect light from a central bulb, which cannot be viewed directly. The artichoke light is a flame-free light fixture, which envelops the light source, deflect and reflect the light onto the fundamental leaves, resulting in visible, exclusive lighting. Lamp has only one main color. His most valuable contribution to design was within lamp design. He invented the so-called PH-lamp in 1925,which in various incarnations used the breakings of light. 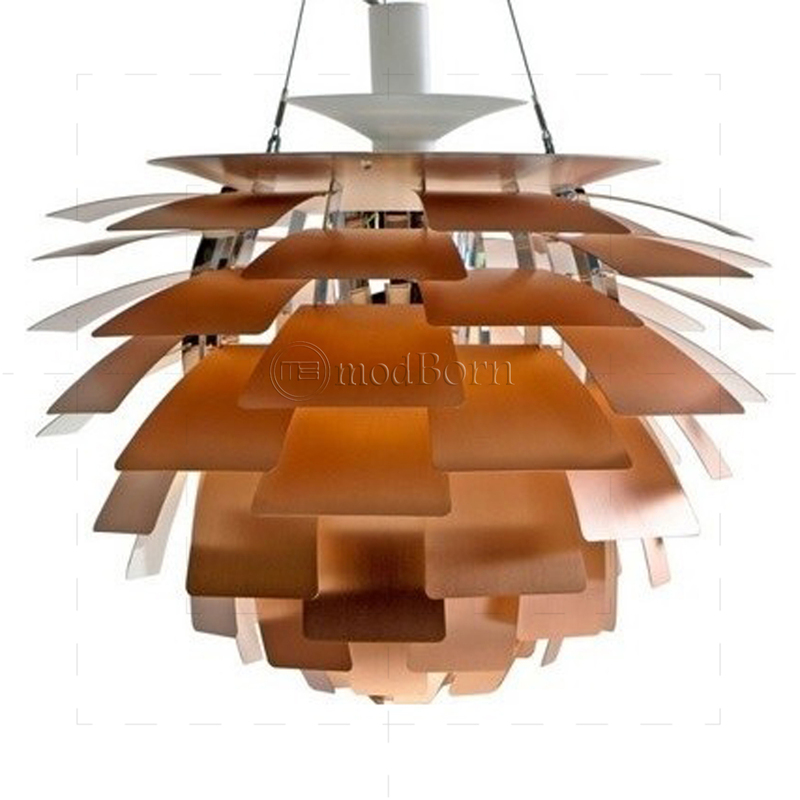 It was manufactured by the company Louis Poulsen. His best-known models are the PH Artichoke and PH5. The lamps created the economic foundation of his later work. Other notable designs include the PH Grand Piano which is included in several notable 20-century design collections, including that of the Metropolitan Museum in New York City.He also designed Glassalen for Tivoli Gardens in Copenhagen. During the 1920s Poul Henningsen had his literary breakthrough. He edited the polemic left wing periodical Kritisk Revy (1926-1928, "Critical Review") in which he and his colleagues scorned old-fashioned style and cultural conservatism, linking these themes to politics. At the same time he began as a revue writer praising natural behaviour, sexual broad-mindedness and simple living. He was the man who made the Danish revues a political weapon of the left wing without giving up its character of entertainment (the so-called PH-revues 1929-32). 1933 he edited his most famous work Hvad med Kulturen? ("What About Culture?") a polemic, audacious and urgent criticism of Danish cultural life and its snobism and passion of the past in spite of all the efforts of the Modern Break-Through. He tried to make parallels between prudery, moralizing and fascist leanings and he also accused the Social Democrats of lacking a firm and consequent cultural line. This book together with his activities as a whole made him a reputation as a semi-communist ”fellow traveller”. In this period he in fact stood near the communists without joining them. He took part in the anti-fascist propaganda, always trying to connect culture and politics. Among his other initiatives of this period was Danmarksfilmen 1935, (English: The Film of Denmark) also known as PH’s Danmarksfilm. It is an unpretentious and untraditional film portraying the life in contemporary Denmark in a lively and slightly disrespectful way in which the visuals are supported by jazz rhythms. It was condemned and torn apart by most critics but later on it has become rehabilitated as one of the classic Danish documentary films. He also wrote some movie manuscripts. During World War II and the German Occupation of Denmark he kept a lower profile and fled to Sweden in 1943 but tried to keep the spirit going by camouflaged resistance poetry. After the war he dissociated himself from the communists who were criticizing him for flabbing humanitarianism in his attitude to the settlement with the Nazis and for his growing scepticism about the Soviet Union and in many ways he was isolated. However he kept writing and debating, and during the 1960s the new generation in many ways made him something of a guru. In his last years he became a member of the Danish Academy and supported the new movement of consumers. In many ways Poul Henningsen is the man who completed the work of Georg Brandes. He is somewhat superficial and light but more modern and less elitist in his views. Being a tease and a provoker who often tried turning concepts upside down (like George Bernard Shaw) and whose conclusions might be both somewhat unjust and exaggerated, he was however a man of firm principles and ideals of a democratic, natural and tolerant society.